Conversation with a founder of Europe’s market leader in high quality bamboo flooring. Dutch processing firm MOSO International is the European market leader, producing quality bamboo flooring, ceiling panels and cabinets. 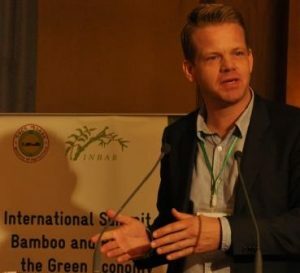 It was founded by two businessmen interested in using renewable bamboo as a sustainable alternative to many products currently made from timber – doing business and helping curb deforestation. Currently, the company buys most of its raw bamboo from Asia. Arjen Veltman: Why not think about different products and be innovative? Sourcing its raw materials from China, the company has developed machines and technology to produce high quality bamboo flooring for mainly corporate clients in the European market. Since its launch in 1997, the firm has diversified into producing ceiling panels and cabinets. In all cases, the design and quality mean that items bear little resemblance to traditional bamboo products, that has a dated image in the minds of many consumers. Sustainability and bamboo’s ‘green’ qualities are key benefits and becoming a powerful new marketing tool, especially for consumers in Europe and the US. “It’s important to back claims of CO2 neutrality with evidence from third party experts,” says Veltman. 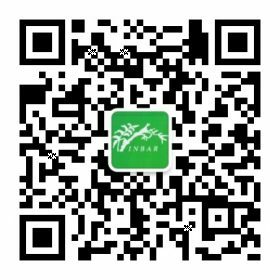 This is a summary of remarks made at the INBAR International Summit on Bamboo and Rattan in the Green Economy in Addis Ababa.